El Quetzal provides you with many opportunities to help the people of Guatemala while you are studying Spanish. Some of these opportunities are teaching English, working with children from broken homes, and volunteering for various educational projects in rural communities near Quetzaltenango. 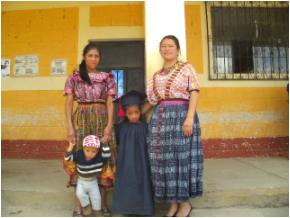 El Quetzal also provides scholarships for local school girls to complete their primary or secondary education.